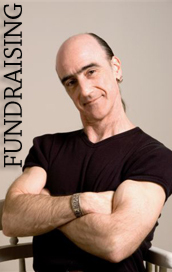 Tim performs at fundraisers nationwide and realizes the most important aspect of these functions is to raise money and awareness. He adjusts his fee accordingly and does a wonderful job helping organizations reach their goals. "His generosity in performing at a reduced rate at our event was so appreciated as we are a non-profit organization." "Well done, Tim Koslo, we hit our goal." "You exceeded anyone's expectations with your performance. Your show rocked and you raised a lot of money for the committee."